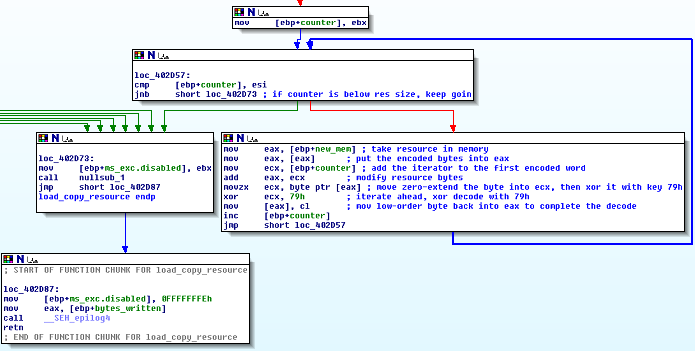 As we can see, there are a lot of goodies up above, such as thread creation, possible privilege escalation, creating or modifying of some dll file called msvcp5(some number).dll, Common Object Model usage, service creation, file reading and writing, possible shellcode text, and I even found ntoskrnl.exe (Windows Kernel) functions PsDereferencePrimaryToken and PsReferencePrimaryToken, which indicate some sort of driver or low-level code because that is Kernel-Mode code. Last but not least, at the beginning of the giant string with the hex codes, there is Uc32nbspace. This one caught my eye and with a simple Google search, I found something called MicroChip ChipKIT Development Board UC32 1 which is just a speculation at this point, but who knows, maybe this malware targets or looks for an embedded device. 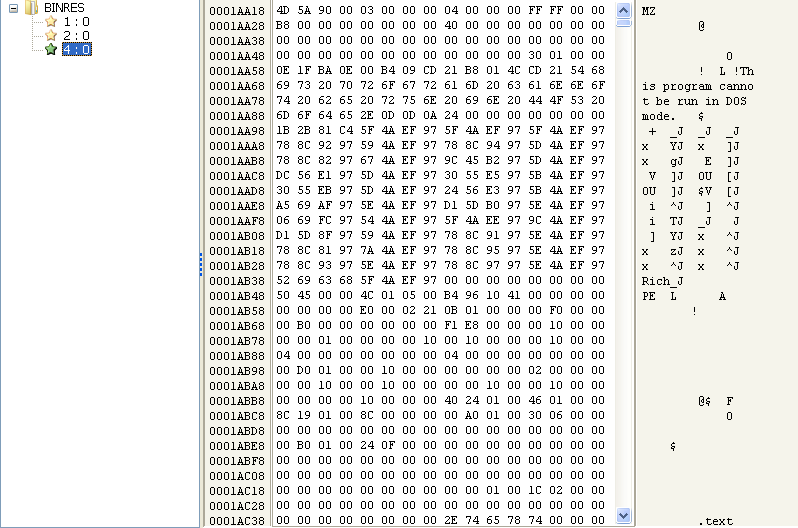 So we have RC6 encryption and a BASE64 encoding, which I suspected based upon a few of the strings above. Good to know. “1” is currently in al and pushed into the Resource Name argument before the resource is searched for. As we see, the function adds the counter variable value to the current byte, xors it with 0x79 or 121 decimal, then moves on to the next byte. 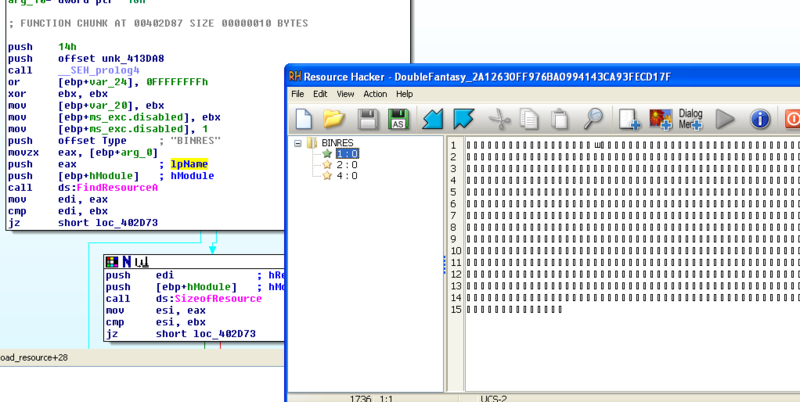 After the decode, the decoded message is placed into a buffer and returned back a couple of subroutines. 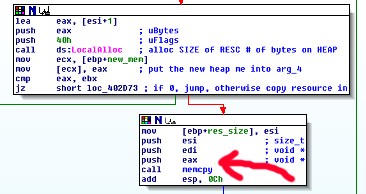 Stay tuned for more analysis of this and other malware in upcoming posts. I’ve decided to take a multi-part approach to these rather than write one ginormous page.